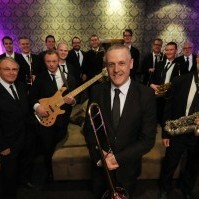 I am returning to Melbourne’s wonderful Big-Band venue, The Apartment, on Monday 26th June for my 3rd performance there with The Daryl McKenzie Jazz Orchestra. This 18-piece band is one of the best in the country and it’s my pleasure to be working with them once again, so if you live in Melbourne, it would be great to see you there. Bookings are essential.